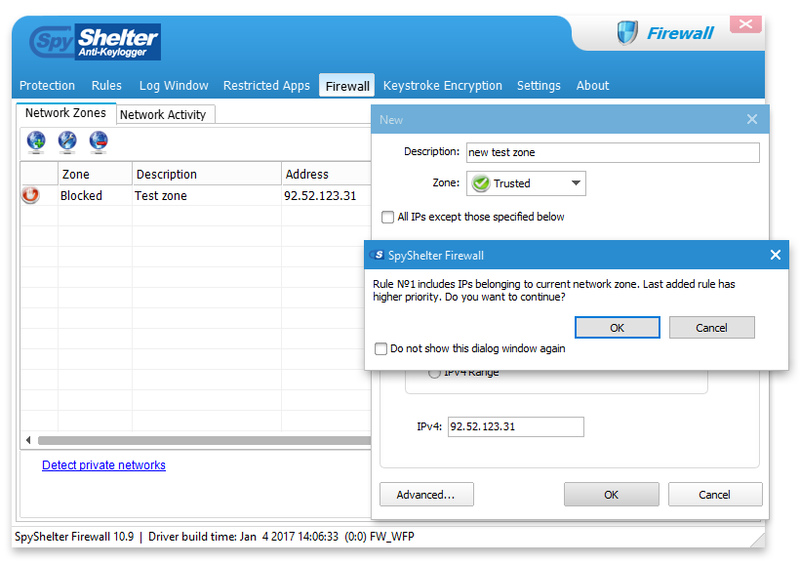 SpyShelter version 10.9 includes further protection and compatibility improvements for SpyShelter Premium and SpyShelter Firewall. 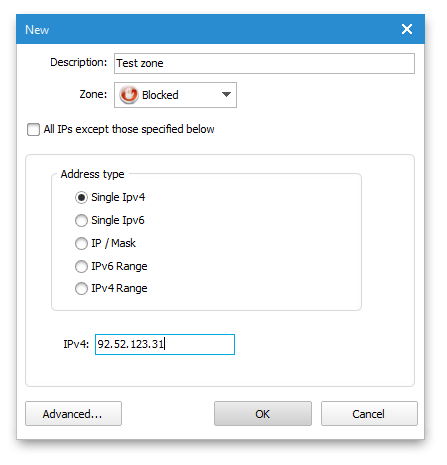 The firewall module of SpyShelter Firewall has also received important new feature. 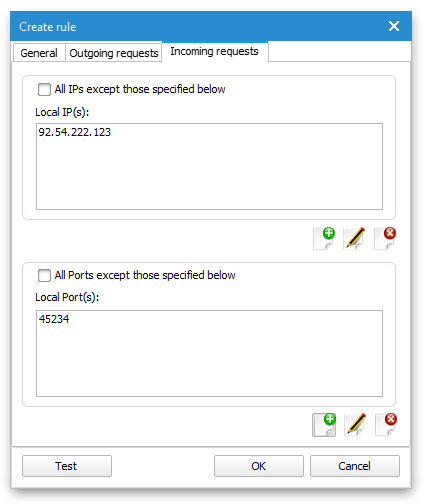 All IPs except those specified below option – Checking this option will make the created rule apply to all other IP addresses and ports than those specified in the rule. For example, it may allow you to block all outgoing connections except to one IP address. 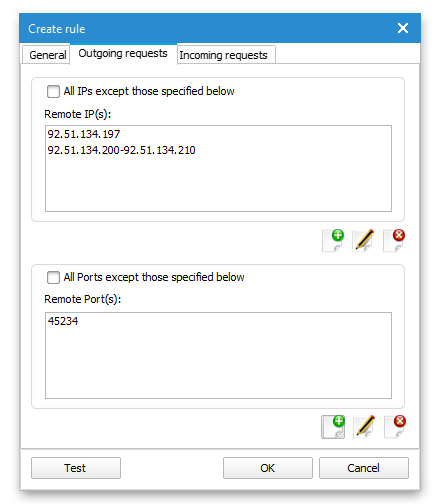 As you can see on the screenshots below, you can use this function to create both advanced incoming and outgoing connection rules, with all possible IP and Ports combinations. While creating new Application Execution Control rule, it is now possible to manually type in the filepath of the target file. If the filepath is wrong, the “OK” button will be grayed out. This function is helpful for users who create advanced Application Execution Control rules since this will help to avoid Wow6432 issues. The way in which tooltip notifications are displayed was also changed. If there was more than 1 action allowed in last few seconds, instead of displaying each notification individually, SpyShelter will stack them and display in a way similiar to the screenshot below. Detailed information about those actions can be found in SpyShelter Log Window. This option works only for auto-allowed actions therefore it will not display notifications in Ask User mode.